1. 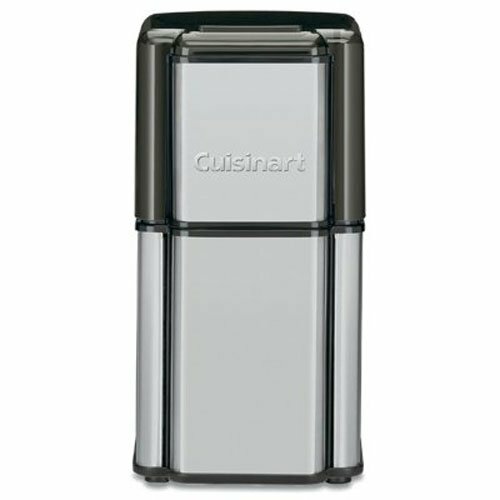 Cuisinart DCG-12BC. Our best rated model is perfect for most people. Plenty of power and manufactured by a well known brand. 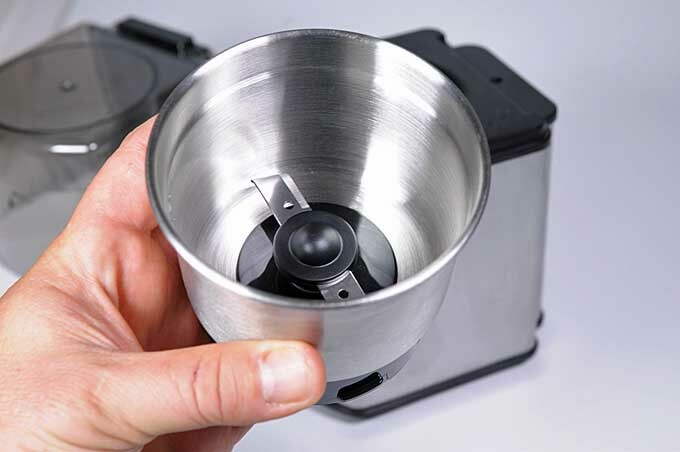 The stainless steel removeable cup and strong motor allow for more capacity than many other models. 2. 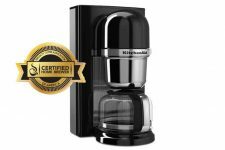 KitchenAid BCG111 / BCG211. These are marketed as two different models but they are actually the same grinder. The BCG211 series comes with two extra bowls with blades and lids in order to grind spices as well as coffee, as is the one we’d recommend. 3. Melitta. This is a bit of a different beast than most of these gadgets. Most feature a simple on and off switch or are turned on simply by pressing the lid. 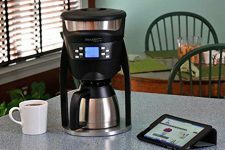 This Melitta model allows you to set coarseness of the grounds as well as the number of cups you will be brewing, then calculates the amount of time needed to process the beans. The machine runs automatically, so you don’t have to press a button or press down on a lid. 4. Secura. This model is supplied with two different cups. 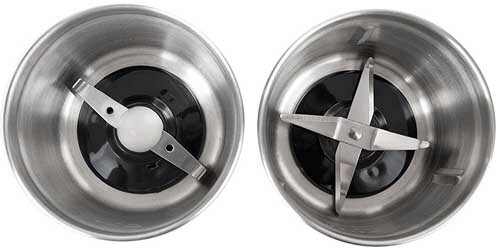 One with two blades is designed to process coffee beans and the other is for grinding hard and dry spices. 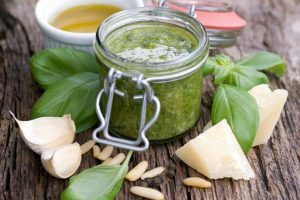 The four-blade cup can handle blending wet herbs and even small amounts of veggies. 5. Hamilton Beach. 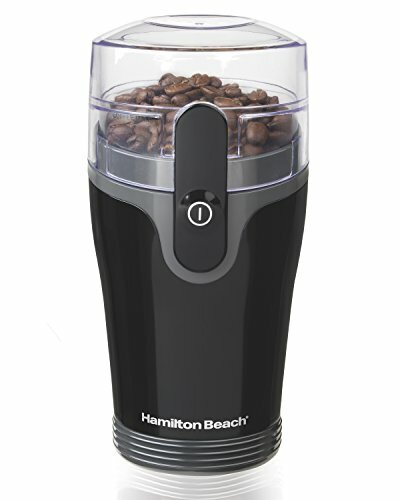 It really doesn’t get any more basic this this offering from Hamilton Beach. It is included here simply because it is roughly half of the price or less (at the time of this writing) then our other featured selections. It does have on-board cord storage, so it has that going for it. What else can you say? 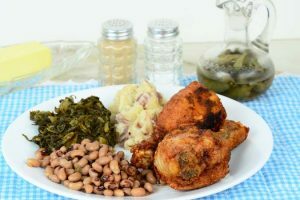 It chops beans for the price of a fast food meal. See all of our blade grinder reviews now. A few things, as it turns out. 1. This may be your first foray into the world of grinding fresh roasted coffee beans and you don’t want to be out a lot of money if you decide you don’t want to mess with it. 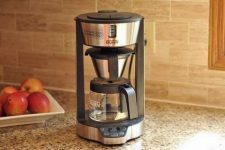 Blade grinders are incredibly cheap to buy in comparison to a good burr coffee grinder. 2. They are “good enough” for French press. 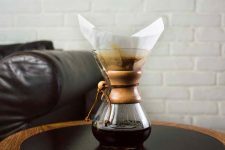 Although there are better options, French press requires large flakes and is much more forgiving in terms of consistency than other brewing methods. 4. You need a travel grinder and you just can’t bring yourself to use a hand-cranked, manually operated model. 5. You need an electric spice grinder as well. After all, they are the exact same thing with slightly different badging. 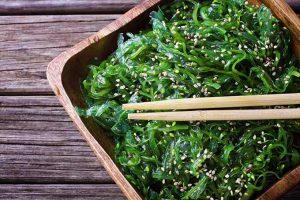 Photo by Mike Quinn © Foodal / Ask the Experts. We looked at 5 different blade style coffee grinders and without further ado, here’s our summarization. We found the Cuisinart DCG-12BC to be the best model for most people. 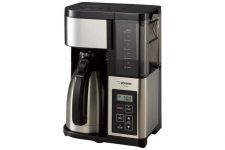 It has a sizable cup that’s capable of holding 90 grams of beans (enough to brew 18 servings) and a stout little motor. 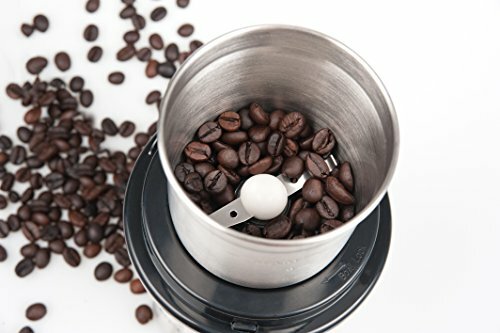 Most of these littler gadgets top out at 60 grams or 12 cups. The cup is removable AND includes a tight fitting cover in case you want to grind now and brew later, or if you want to process up a batch of spices for use in a recipe and you need temporary storage. 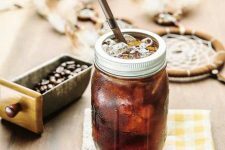 A removable cup – who would have thunk it? 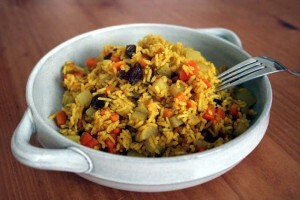 Photo by Mike Quinn © Foodal / Ask the Experts. 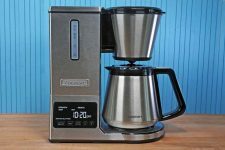 Note that Cuisinart claims this unit is for coffee beans only and not for grinding spices. 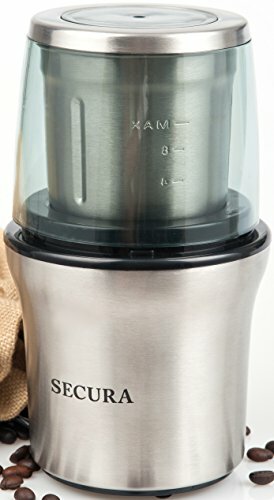 But it looks EXACTLY like their SG-10 Electric Spice-and-Nut Grinder in a different casing, and at a slightly lower price (from most retailers). 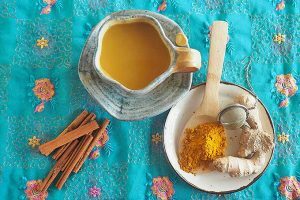 Oh yes, you can grind spices no matter what your parent says… Photo by Mike Quinn © Foodal / Ask the Experts. Having a removable cup is a game changer compared to the way these things used to be designed. Imagine trying to finagle turning the whole appliance upside down over your coffee basket. Cusinart is not the only one with this design. But by our testing, it’s one of the better manufactured units (and let’s be realistic – none of these are going to have German or Japanese-like engineering or craftsmanship). 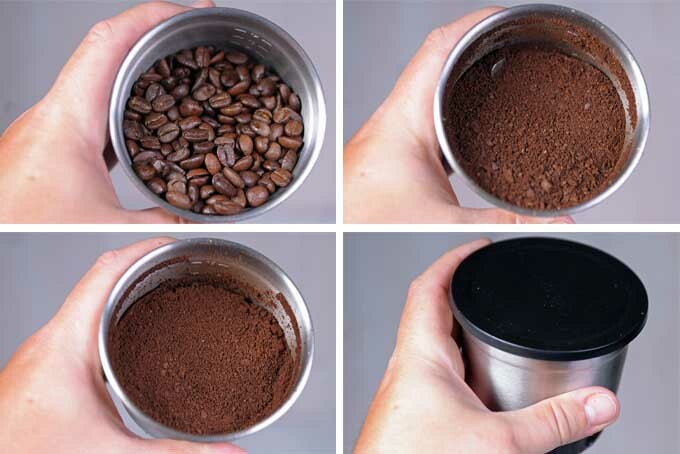 For a good grinder, fill your cup at least half full with beans and go in 5 or 10-second bursts. The upper right hand photo depicts about 15 seconds of operation and is suitable for a French press. 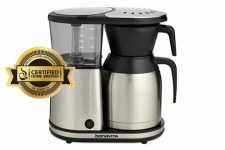 The lower left depicts 20-25 seconds, a grind suitable for brewing with an automatic drip pot. 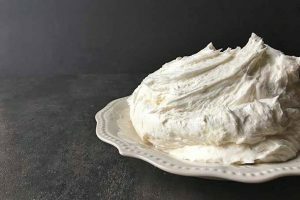 Leftover grounds? No worries. 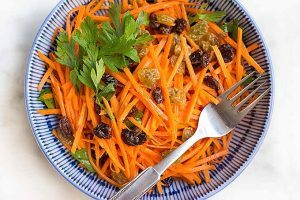 Use the included plastic lid for storage. Photo by Mike Quinn © Foodal / Ask the Experts. About 15 seconds is good for a coarser French press grind with as much as 25 seconds needed to process down to a fine automatic drip pot grind. Espresso? Forget about it – you need consistency here. 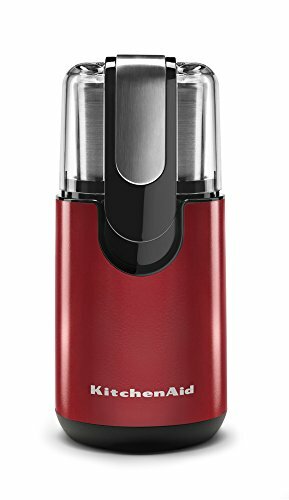 This BCG111 from KitchenAid is a touch smaller than the Cuisinart option, but it’s a decent selection. It also features a removable (albeit smaller) bowl that’s capable of making up to 12 cups of coffee (or about 60 grams of beans). 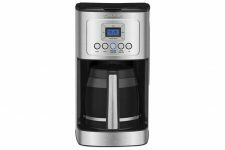 It also has markings that allow you to measure out the quantity required for 4, 8, 10, or 12 cups. Also, it’s available in few different colors to (hopefully) coordinate with your other KitchenAid appliances. 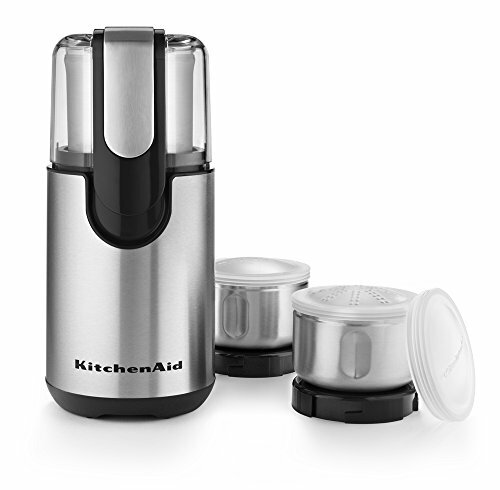 Like the Cuisinart, the top cover is clear and the machine is operated with a single touch by pushing down on the cover. 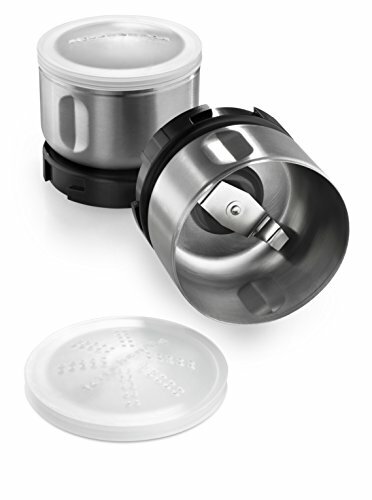 One interesting thing that the BSG111 offers that the Cuisinart doesn’t is an optional spice grinder accessory kit that includes two additional removable cups, two lids, and a shaker top lid. This kit can be a bit hard to find, so we’d just purchase the BSC211 for a few bucks more. It includes the spice accessory kit in the box. 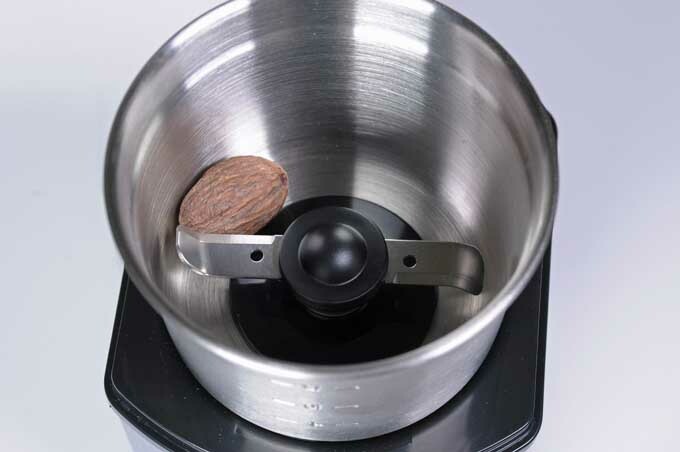 Customers report that this model occasionally has issues with oily beans being a bit more difficult to grind as they do slip and slide around in the bowl, as well as slipping under the blade. They just require a bit more shaking than drier, less roasted beans. Regardless, the KitchenAid is worth considering for an all-purpose coffee and bean grinder. This Melitta offering is a bit of a different type of blade grinder. 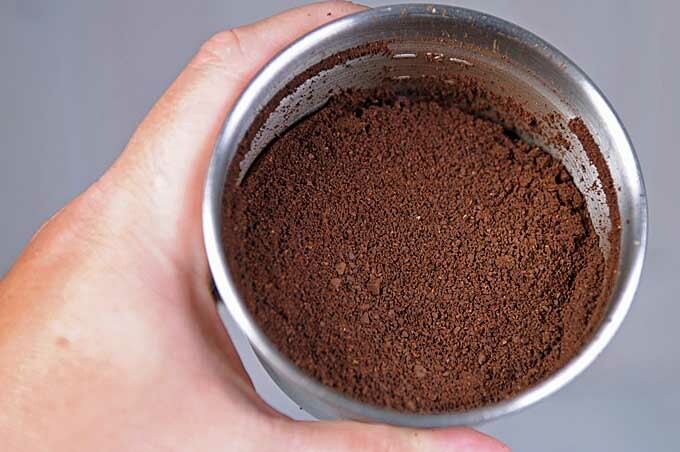 Instead of a simple button requiring you to judge the amount of time needed to grind your beans according to your brew method, this model includes multiple grind settings to change this size of the flakes from coarse to fine. 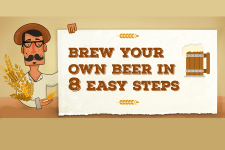 Simply add your beans, choose coarse, medium, or fine, and then select how many cups you are brewing – 4, 8, 12, or 14 – and hit start. The machine calculates the correct amount of time required to spin the blades to get the optimal particle size. 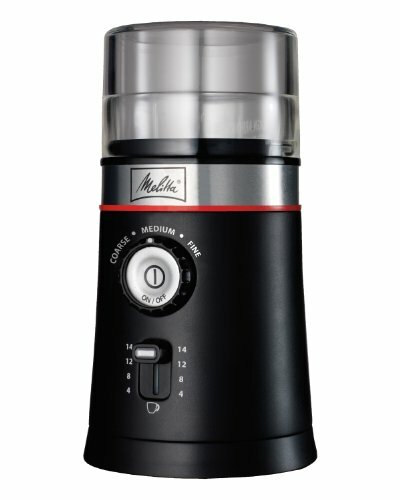 Like the Cuisinart and KitchenAid offerings, this Melitta model features a removable cup (something we are very keen on). It does have a bit of a larger footprint than most other blade grinders, but not nearly as large as a burr-based model. 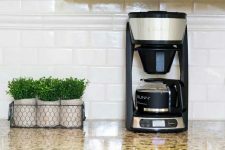 The Melitta also features a storage area in the bottom of the device for cord storage as well as a little cleaning brush that attaches to the back. The long two-foot cord is also a nice plus. There is nothing worse than an appliance with a miniscule cord that does not reach your outlet. 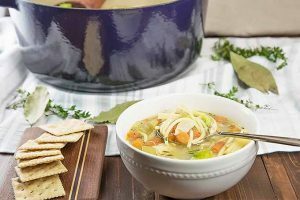 Secura is a newer brand, sold primarily Amazon, which has been working their way into providing quality cookware and small kitchen appliances at reasonable prices. Their blade grinder is no exception and we like this little beauty a lot for its multifunctional use. 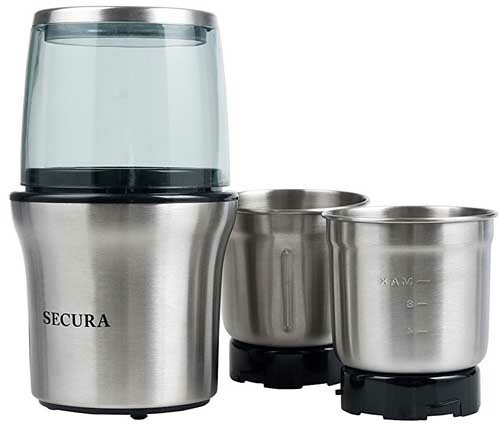 Not only does it come with a removable stainless cup with the standard two-blade configuration, it also provides a second cup with a four-blade setup designed to tackle spices, seeds, nuts, and even small amounts of wet product such as fruits and veggies. It’s like having a tiny, miniature blender. That being said, don’t expect to run this gadget nonstop without smoking the motor. It should be pulsed like every other model we’ve discussed – the manual states no longer than 30 seconds but we’d err on the side of caution. Oh yeah, it does a pretty nifty job with coffee beans as well. 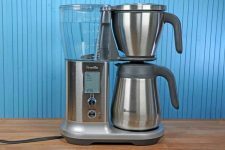 If you don’t want to spend a whole lot on one of these machines (though it should be noted that none of them are very expensive), this basic model by Hamilton Beach is probably your best choice. There really isn’t much to say about the features. It has a plastic container and blades that spin and chop. It does feature convenient cord storage, which is about the only differentiating feature. And it is less than half the cost (at the time of this writing) as most of the other models featured here. These are good little units for the reasons listed above – as a first foray into grinding your own beans, as a second grinder, or as a handy travel companion. 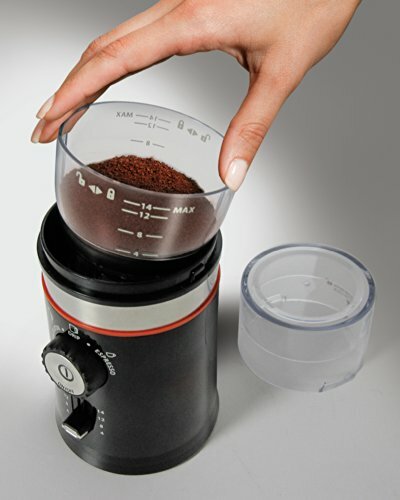 However, they will not replace a full sized burr grinder for taste or consistency. Read more about burr based models now.